Black Walnut has been prized since colonial days for its subtle range of colors: it is often light pinkish brown streaked with darker brown, or with gray-greens, golds, purples, or even black. It is a heavy and dense wood with silica in it that can make it difficult to saw and plane. But its texture is even and it can be polished to a high and lustrous sheen. 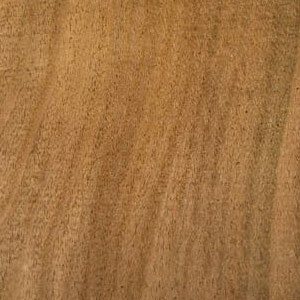 The grain in figured slabs of Black Walnut may have an irregular, checkered look, or wavy or even burly. This wood is used in gun-stocks, much fine furniture, instruments, clock cases, and all manner of turnery. We generally harvest our Black Walnut from nut-orchard graft stumps or from mature salvage. We carry a variety of cuts — from pieces with live edge to square turning blocks and lumber. Please note that black walnut is a skin sensitizer. Take appropriate precautions when you work with it!